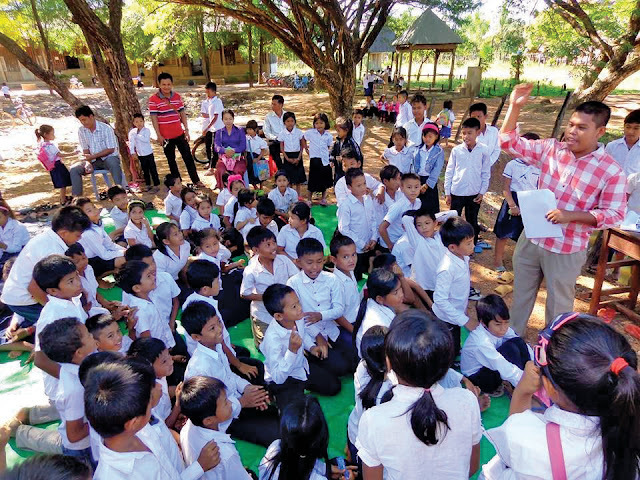 This article is the fourth and final in a four-part series highlighting the leaders and families who were part of so much change for the communities in Anglong Veng. Celebrate with them as they share their experiences in the fight to end poverty in their villages. As FH programming wraps up in Anlong Veng, the local staff are beginning to move to Boeung Mealea, the site of the next FH partnership and probably the poorest region in all of Cambodia. In this interview, Noun Romono shares the challenges and joys of his journey with Anlong Veng and his hopes and dreams for Boeung Mealea. 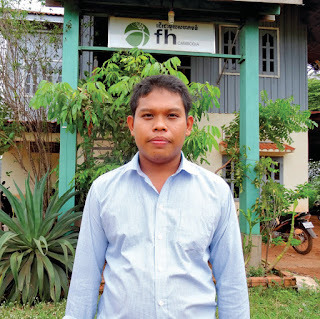 Noun Romono is originally from Prey Veng in the southeast and has worked for FH in Anlong Veng since 2012, 500 kilometers from his home. 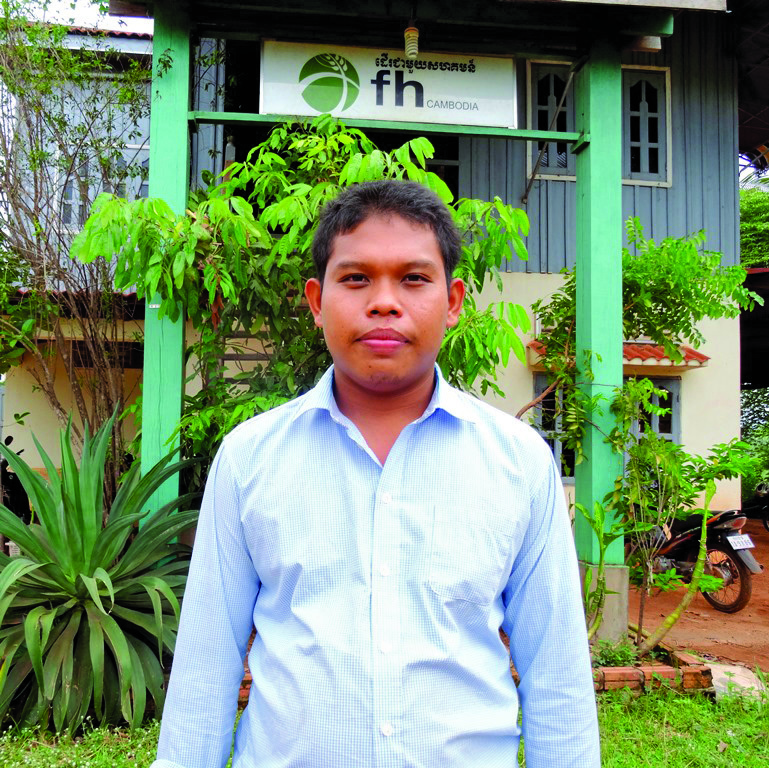 Romono has enthusiastically carried out his role as a Community Facilitator. 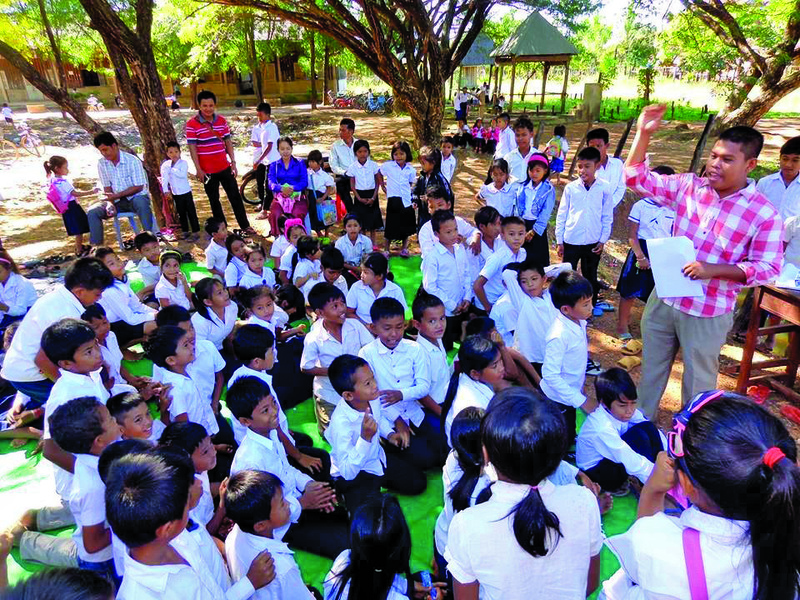 "When I moved to Anlong Veng in 2012, I observed the bad roads and broken bridges; it was hard for children to go to school and for people to get in and out of the villages. Problems in the community made it difficult for parents to think about sending their children to school, so my role included facilitating school enrollment. But the people’s thinking has changed; they are not the same as when [they] lacked ideas to solve their own problems. Now they start a lot of initiatives on their own to make their condition better. I have learned so much from the local people and I also enjoy them in my personal life. The FH staff don’t refuse to help with any job in the community. We even help carry wood if they are constructing a house or we plant their rice with them - we do whatever work they are doing when we are in the village. I can see and feel that the staff really love the poor. I am willing to leave Anlong Veng and go with FH to Boeung Mealea because it is the poorest district in the whole of Cambodia. FH can do so much to help the poorest get out of poverty! We will need to adjust to the new environment, but I am excited to work with my team. We are like a family in FH Cambodia. Most of all, I will use my skills to help the poor have a better life - I am most happy doing that."